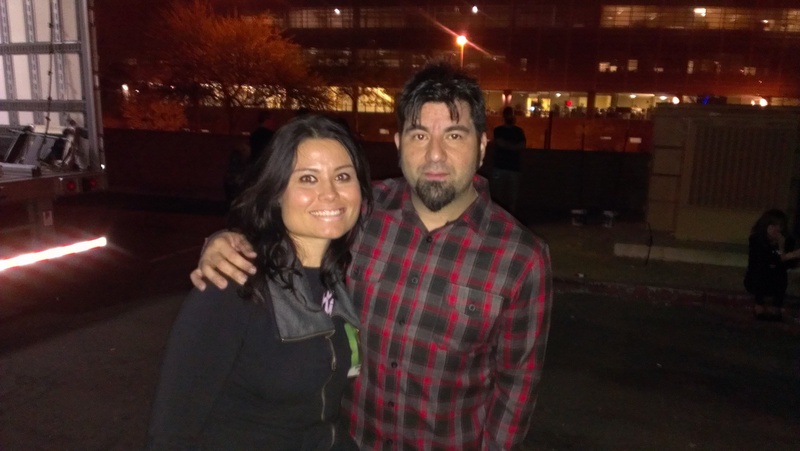 Guess Who Met Deftones? This Girl! A few weeks ago I posted a blog about all the people I wanted to meet. 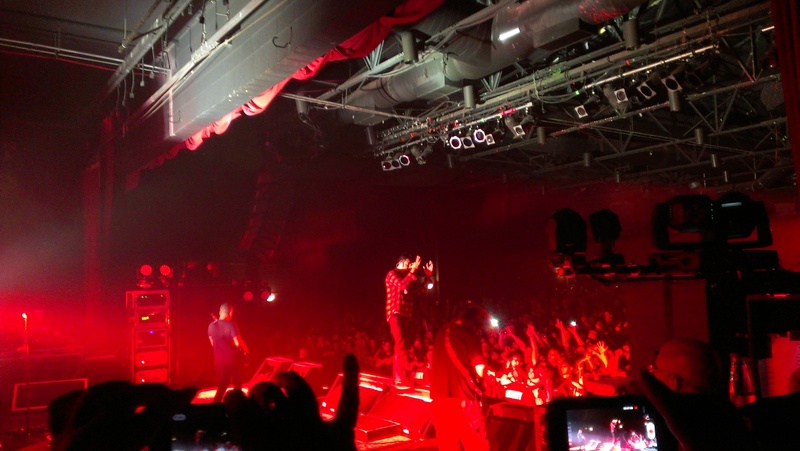 Among the list was Deftones frontman and my ultimate celebrity crush, Chino Moreno. The Marquee is a tiny indoor venue with a capacity of around 1,000, and there were easily around 1,500 fans crammed like sardines. The oversold concert was a security nightmare, but it worked in our favor as the energy inside was elating and hair-raising! Anyway, halfway through the show I realized I could be enjoying the show on stage, so I did just that. I plowed through the crowd to make my way backstage, and then it dawned on me: oh em gee, I’m on stage with my favorite band of all times. I was walking on cloud nine. So there you have it, I met Deftones and dreams do come true. 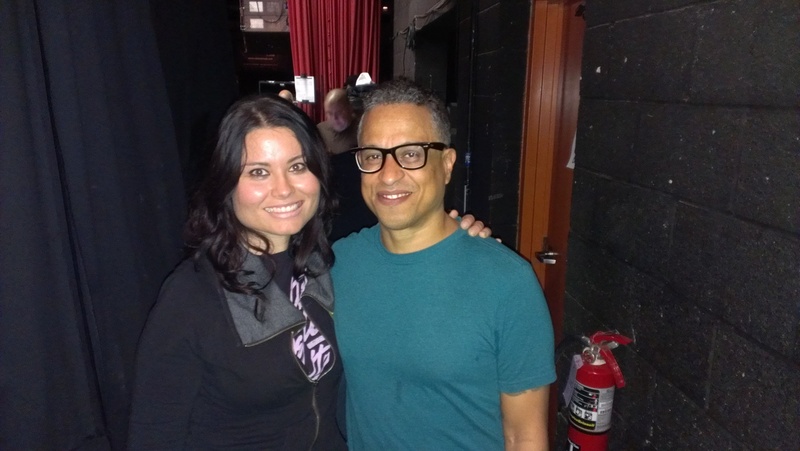 With Sergio Vega, the coolest bass player in the world! To wrap up with something divine, enjoy “Tempest,” a song off Deftones’ new album, Koi No Yokan. Alright, now it’s your turn. Tell me about the time you met your ultimate celebrity hero below. If you haven’t, write down whom you’d like to meet and why. That's awesome! I tend to not remember celebrities that I meet…not intentionally though. My memory can only handle so much I guess. Happy Thanksgiving Pauline. August 2012 we'd just been to see Deftones at the Paradiso in Amsterdam and headed to a nearby bar afterwards. After settling down at a table with some drinks I spotted Chino arrive with some friends. He shook hands, did a few autographs and photos and then asked if I minded sharing my seat with him! Uummm yeah! No problem with that at all!! He sat next to me for half an hour or so whilst he chatted to his mates. Great bragging rights story. He also signed my ticket! Very polite, considerate and generous with the fans. What a thoroughly nice chap! Still living the moment today! type of postcards you may see in Amsterdam and you'll understand we had a good laugh and joke! We talked about the show and why we'd flown to Amsterdam to see them (UK shows sold out) and as we were saying our goodbyes, Julian leant over and kissed my cheek! Happy days! I was fourteen once more! Louis! How amazing. Isn't it funny how most of the time these rock stars we look up to are just totally humble regular people? Although I must say I've had my encounters with several prima donnas (I'll skip names 😉 ). Totally with you, though. 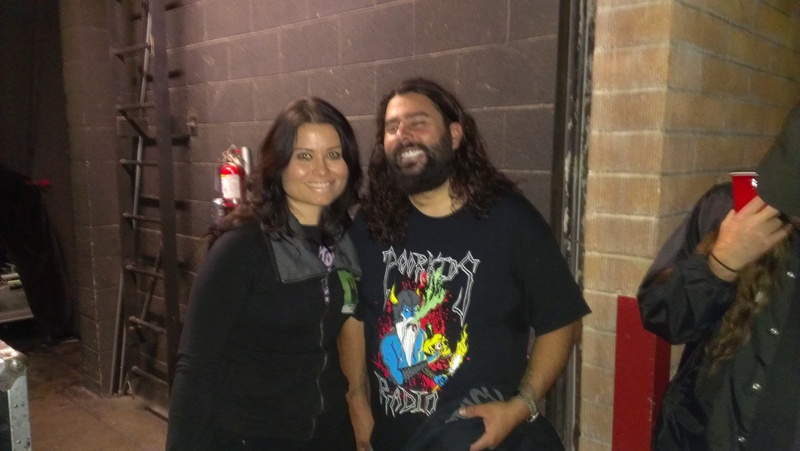 Not only is Chino a super talented guy, he's also super nice and down to Earth. Too bad I was too star struck to say anything meaningful, haha 🙁 Oh well…. Now off to make the rest of my bucket list come true 🙂 THANKS FOR SHARING YOUR EXPERIENCES WITH ME!